What does it mean to be a man in the 21st century? Has feminism emasculated men? How can men be both authentically male and authentically sensitive? And what happens when eight men gather in a support group and end up baring both their souls and their bodies? These questions are at the heart of the new comedy-drama Welcome to the Men’s Group, which screens April 29 and 30 at the Palm Theatre. 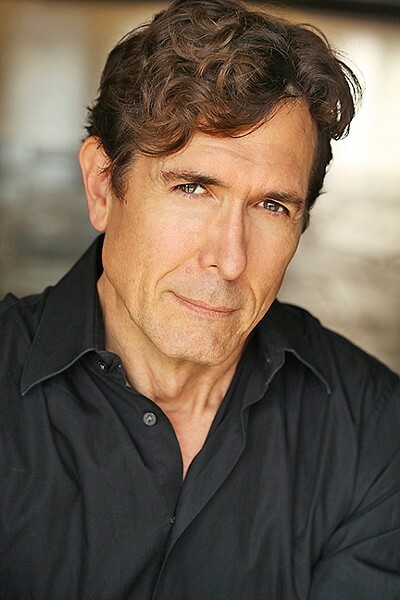 According to director, co-writer, and co-star Joseph Culp—who with co-star Timothy Bottoms will helm post-screening panel discussions—the film was a long time coming, the culmination of Culp’s own journey with men’s support groups that began in earnest with the publication of Robert Bly’s 1990 book Iron John: A Book About Men, which sprouted the modern men’s movement. MEN REVEALED: The ensemble comedy-drama Welcome to the Men’s Group explores men’s issues from competition to insecurities, and stars (left to right) David Clennon, Ali Saam, Mackenzie Astin, Timothy Bottoms, Stephen Tobolowsky (seated), Joseph Culp, Terence J. Rotolo, and Phil Abrams. Welcome to the Men’s Club, which Culp wrote with his filmmaking partner Scott Ben-Yashar, is a true self-funded indie film made on a shoestring budget and shot on a tight schedule, but it features an amazing ensemble cast filled with recognizable character actors such as Stephen Tobolowsky (Thelma & Louise, Groundhog Day, Memento), and David Clennon (Being There, The Thing, Gone Girl). Like The Big Chill, it’s ensemble acting at its finest, and like Sideways, it’s an insightful exploration of men’s issues that will appeal to both men and women. In turns laugh-out-loud funny and tenderly poignant, the film happens all in one morning when the men gather at Larry’s (Bottoms) house. Michael (Culp) brings along a new member to the group, Tom (Mackenzie Astin), who in a way acts as surrogate for the audience. He’s curious what the whole men’s group thing is about, but also skeptical. That skepticism morphs through several stages of shock and repulsion as he witnesses the raw emotions and complex relationships that are slowly revealed as the men talk and recall in flashback a party they attended previously. The Hangover this is not. Instead, it explores men trying to support each other but ending up triggering each other, escalating tensions as more and more secrets are revealed until the startling, cathartic climax. It’s a movie that should be widely seen, but as a low-budget indie film, finding distribution is beyond difficult, which is why Culp—perhaps best known for playing Don Draper’s father on Mad Men or as Dr. Doom in The Fantastic Four—has taken the film through a series of these sneak preview screenings in an attempt to build awareness of the film and raise money to get the film widely distributed. THE MAN WITH THE PLAN: Director, co-writer, and co-star Joseph Culp will screen his new film 'Welcome to the Men’s Group' on April 29 and 30 at the Palm Theatre. It’s certainly theatrical release quality. The performances are amazing, and this is some of the best work of Bottoms’ storied career. Culp, too, turns in a deeply authentic, emotionally raw performance. The story is complex, beautifully written, deftly filmed. JOIN THE CONVERSATION: 'Welcome to the Men’s Group,' a new comedy-drama about an all-male support group meeting gone awry, screens twice at the Palm Theatre, on Saturday, April 29 (7 p.m.), and Sunday, April 30 (4 p.m.), with each screening followed by a panel discussion with filmmaker and co-star Joseph Culp ('Mad Men,' 'Fantastic Four') and co-star Timothy Bottoms ('The Last Picture Show,' 'The Paper Chase'). Tickets are $15, and proceeds go to the film’s distribution fund. The production created such tightknit bonds that an actual men’s group formed out of it. The actors still collectively meet on occasion to check in and offer support. Culp is the son of the actor Robert Culp (I Spy, Bob & Carol & Ted & Alice), so was his own father there for him? New Times Senior Staff Writer Glen Starkey’s men’s group goes camping and drinks whiskey. Contact him at gstarkey@newtimesslo.com.